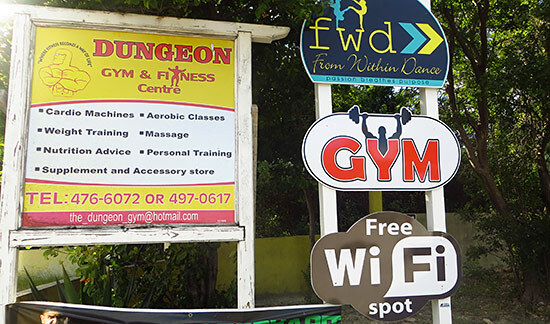 If there's one gym in Anguilla that people rave about time and time again, it's Dungeon Gym & Fitness Centre. 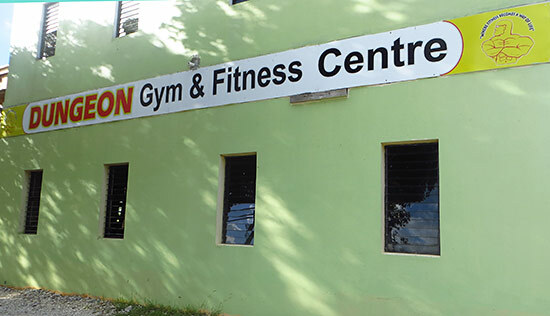 This is the place if you're concerned about staying in shape on your trip to Anguilla. 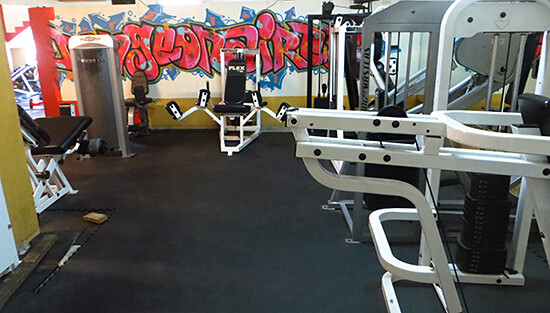 From building muscle, to strengthening specific areas, to cardio training, Dungeon Gym has a loyal following of locals, ex-pats and visitors, including former general managers and owners of the most luxurious resorts and restaurants. And, all of the top trainers at hotels and villas bring their serious clients to Dungeon Gym! Straight out of a movie, this gym is for the true fitness-focused. 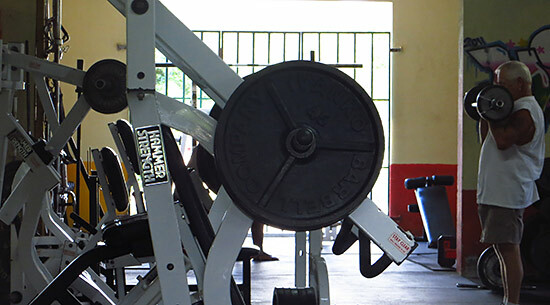 The music is loud, the atmosphere bare, the gym is aptly named. 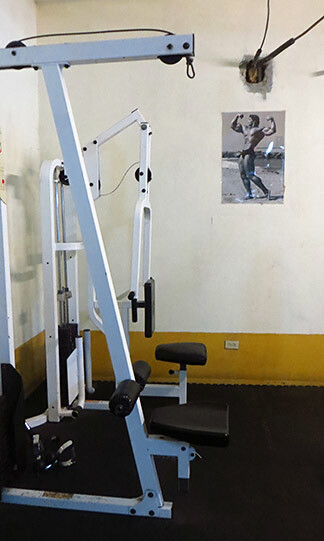 With top-of-the-line equipment that's kept in pristine condition, the focus is totally on working out. Two steps inside and the overhead lighting is bright and fluorescent. Dance music goes, goes, goes. I have to admit, I was a little intimidated! Luckily, the woman who greets you at the front, Tamar, couldn't have been more sweet and inviting. She works the evening shift. I had arrived early, just before it really got busy! Tamar was ready to show me around the gym. 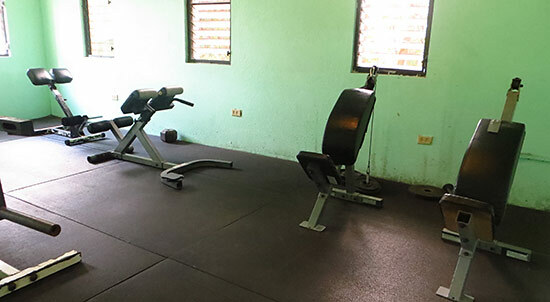 We started with their main focus, their weight rooms. As we started, the photos lining their hallways really set the tone. 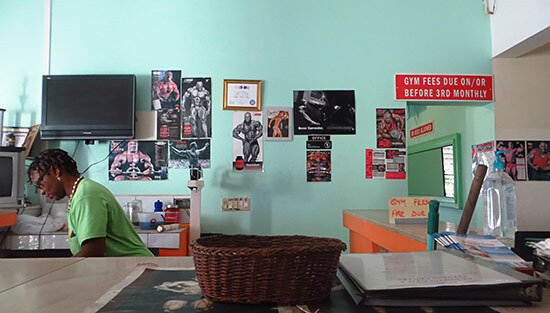 Framed photos of famous body builders who've frequented the gym all professed their love for Dungeon Gym! 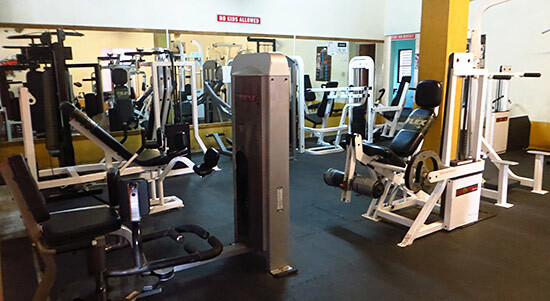 Dungeon Gym has four areas dedicated to weights. The first is located just adjacent to the front desk. A rather small room, it has plenty of machines for working your core and abdomen. The main weight room blows you away. Huge, it's filled with row upon row of fitness machines. We were there early, but still there were a couple of ex-pats working out. Usually, later in the evening, the room is packed with locals and ex-pats alike, working hard to sculpt their bodies to perfection. 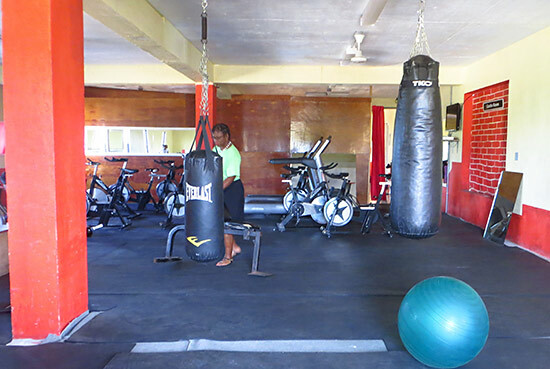 Fitness has truly grown in popularity here in Anguilla. More and more people are taking care of their body, and are even pursuing body building! Each machine is well kept and clean. 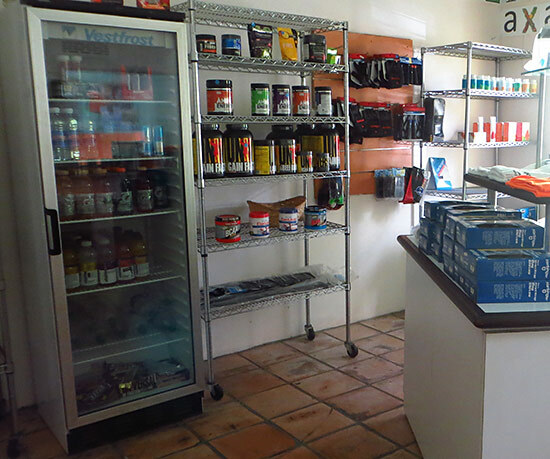 It's no wonder... the owners themselves are in top shape and practice and preache positive health habits. It is owned by the prominent Haydn and Marissa Hughes, both of whom set terrific examples of good health. 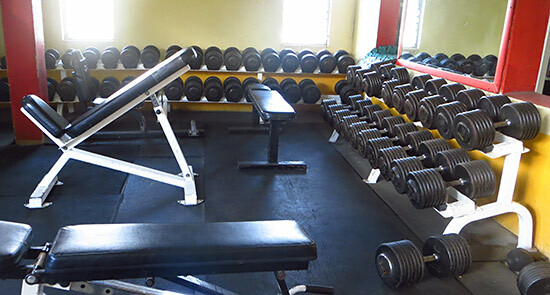 Equipment for dead lifts, working your pecs, back muscles, shoulders, from free weights to machines, it's all here. 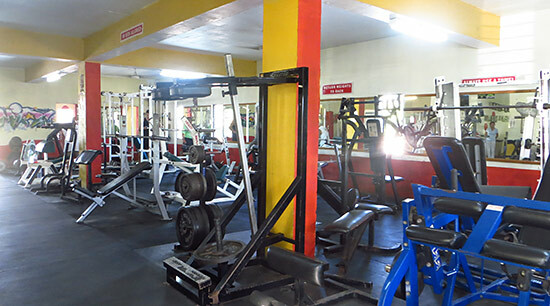 Arm machines, leg machines, dip stations, pec machines, lat machines, bench presses, abdominal benches, dumbbell racks. My Dad, in the years when he was a gym freak and even installed a home gym in our basement, would be drooling over this variety. Above a few of the machines, there are signs showing you how to work different muscles, too. If you have any questions, Tamar is there, and don't be afraid to reach out to fellow gym-goers. There is a true sense of comradery here that I haven't seen elsewhere! 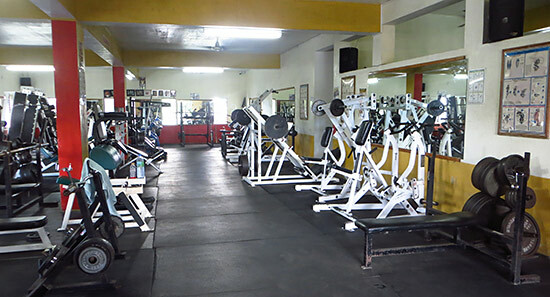 The main weight room has most of the machines, and almost all of the super popular machines. This includes cable machines for working your shoulders and back. Tucked back from that main room are two areas with free weights (see above photo). In a separate area to the left you will find a few more machines that work muscles of all kinds, muscles I didn't even know existed! The machines located in this room (see below) focus on strength training in different parts of your body, not just your arms and back. All lined with mirrors and with stylish graffiti on the walls, the vibe screams "committed, tough and cool." 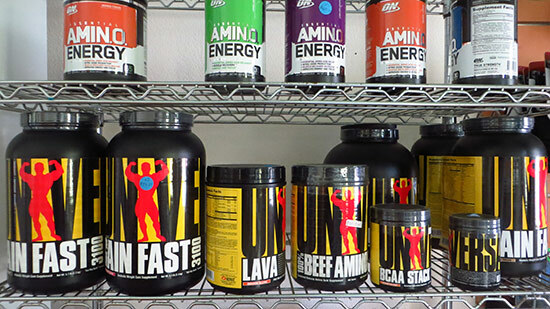 They have just about every supplement to make you your strongest ever, including organic options! 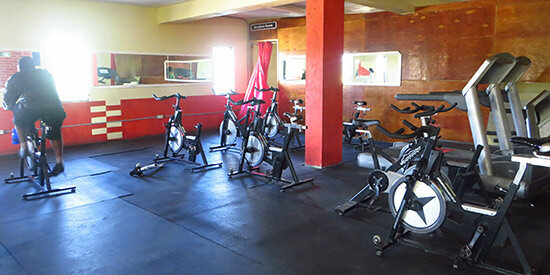 The cardio room is well supplied with stationary bikes and treadmills. There is a TV, plenty of mirrors and windows overlooking the surrounding area. The room is open and breezy. On the other side of the room are matts, aerobic balls and a punching bag. Everything is, of course, well cleaned. 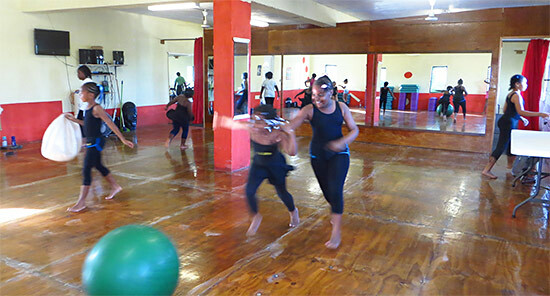 In addition to aerobics classes they also hold yoga, spin and dance classes. They also have a special women's-only hour. Just call or email Dungeon direct for full details and the most up to date schedules. Note: Don't forget to bring your towel. If you do forget, you can rent one for $3USD. After such an in-depth tour, I thanked Tamar dearly. She is truly sweet and made the tour far less intimidating! Walking into a "dungeon" of "die-hards" sure seemed scary at first. She eased all tensions. It's truly amazing what you can do with your body when you put your mind to it, and there, at Dungeon Gym it's all possible.